When people ask us about Kefalonia island and Kefalonia beaches, and how many days to book there, we reply with: as many as you can afford. You can stay 20 days at least in this island and never get bored. We stayed in a fantastic apartment. It was around 100 sq.m. with plenty of rooms, all amenities, excellent wifi, very clean, back and front balconies, big front-yard and parking space and many more. It was simply excellent. We stayed at 1st floor. This was the view from the front balcony. Beach was at 1 minute walking distance. 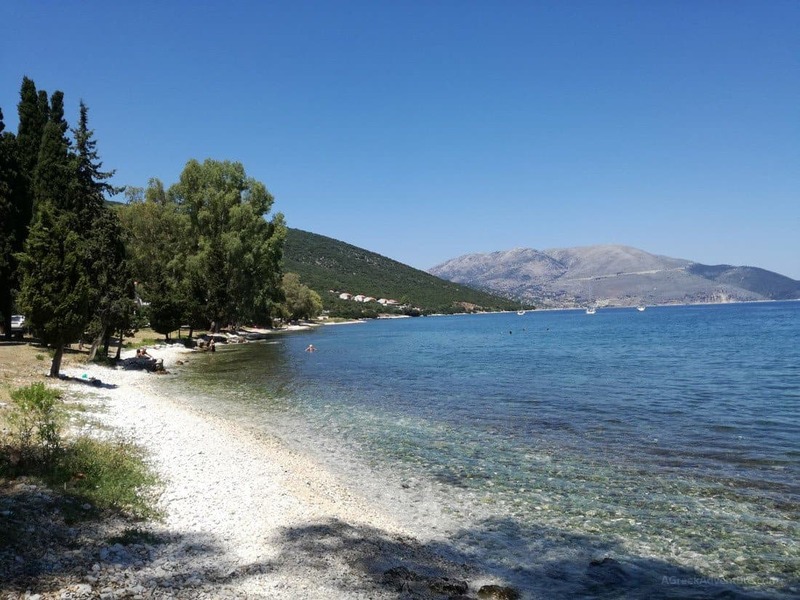 Here is a list of 7 very interesting things for Kefalonia beaches and the island. 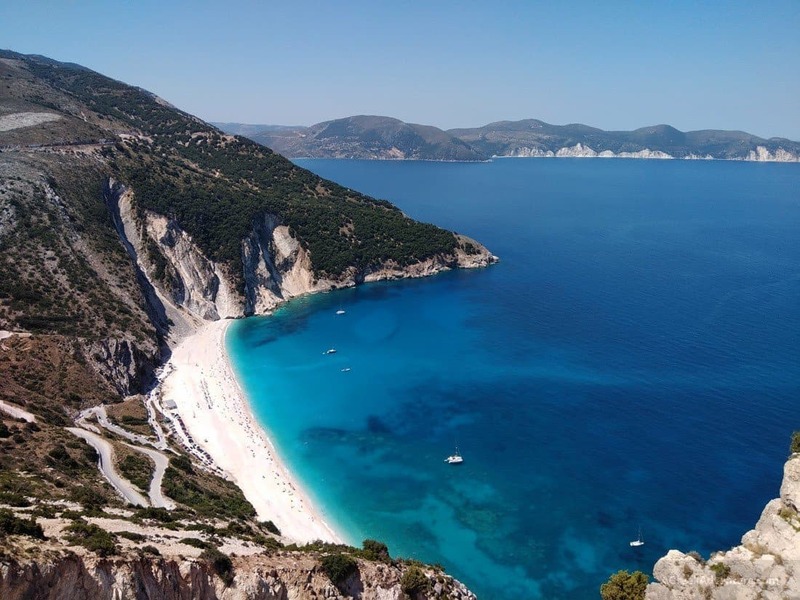 Kefalonia is famous for its green and its beaches. There are numerous beaches. Most are easy to reach. Small, well organized beach with sun loungers and umbrellas, plus space to place your own gear. The beach is sandy and very clean. Airplanes from nearby airport are a great attraction when they fly over your head, while you swim. This one was at walking distance from our apartment. It is located 10 km southwest of Argostoli. This one is at the seaside near Melissani Cave. The water from Melissani cave is travelling underground and shows up here. There is a small lake next to a beautiful tavern with shade everywhere. 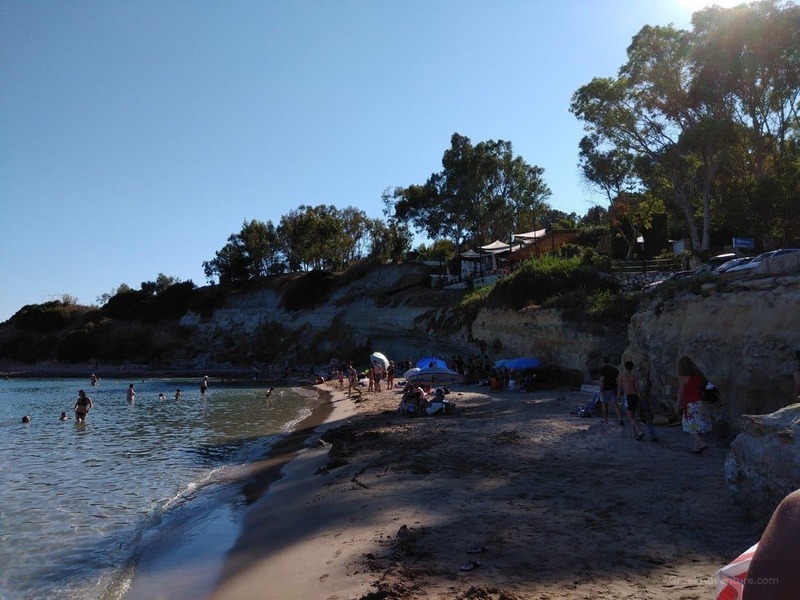 Karavomilos beach is situated in the area of Sami, next to its namesake village. Maybe one of the most scenic beaches of Kefalonia. Just see the picture to understand. Waters get deep as soon as you enter, so maybe it is not the best for young children. 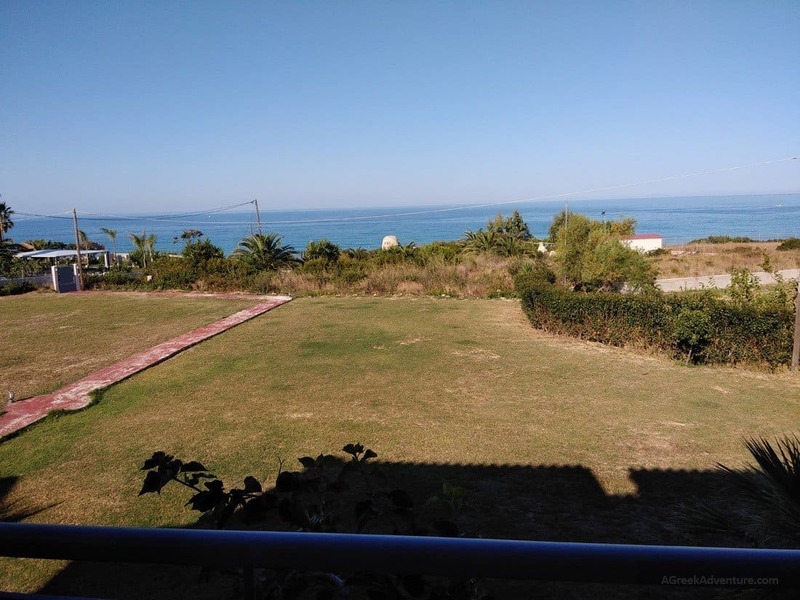 It is located 30km north of Argostoli, surrounded by huge verdant hills. It is located in a distance of around 35 km west of Argostoli in the peninsula of Paliki. There is parking space but only for a few cars. 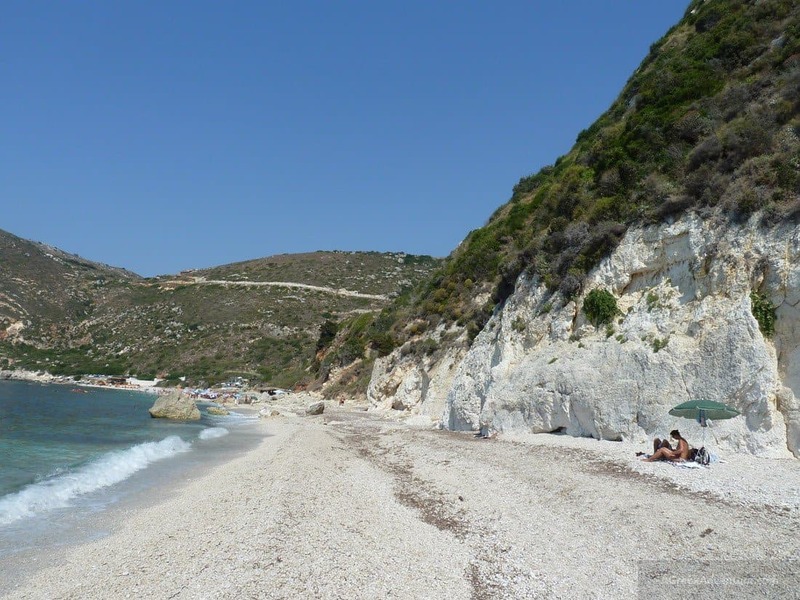 It is located 27km east from Argostoli and quite close to the port of Sami. 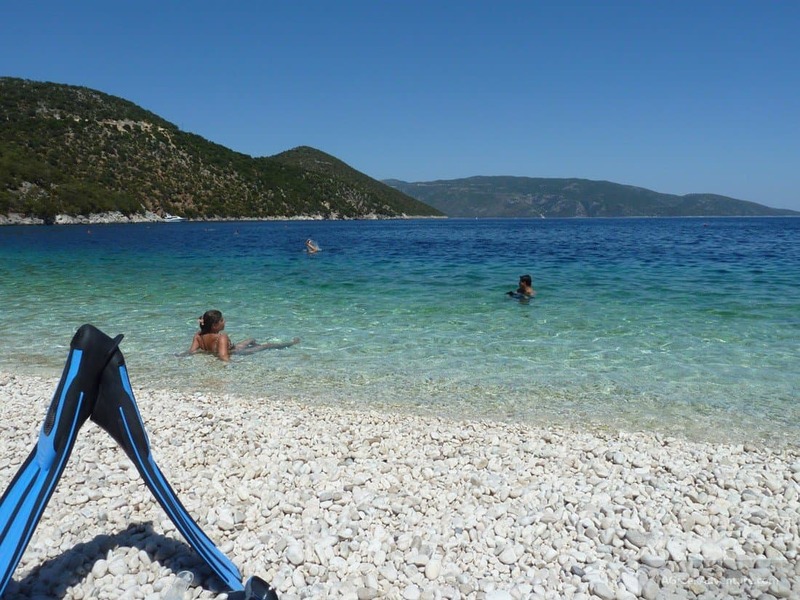 It is considered one of the “must-swim” locations of Kefalonia island. 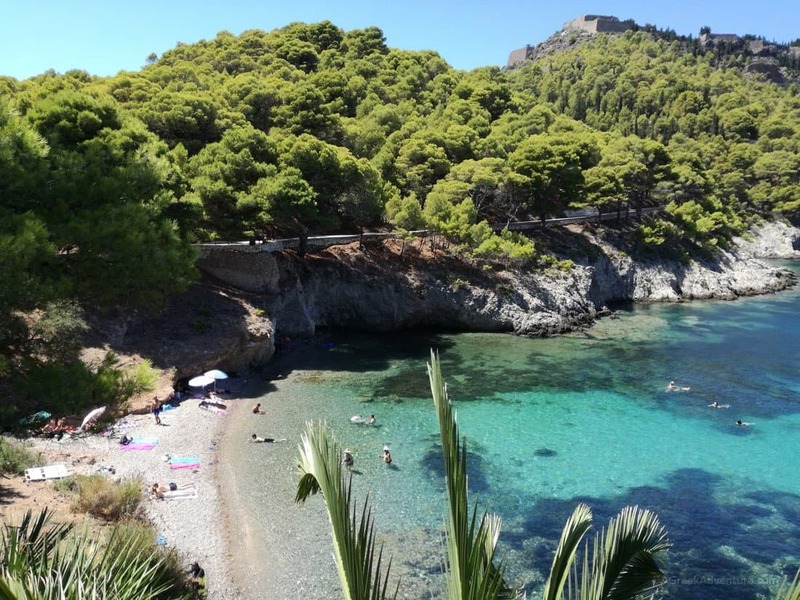 This beach is almost inside the village of Assos. 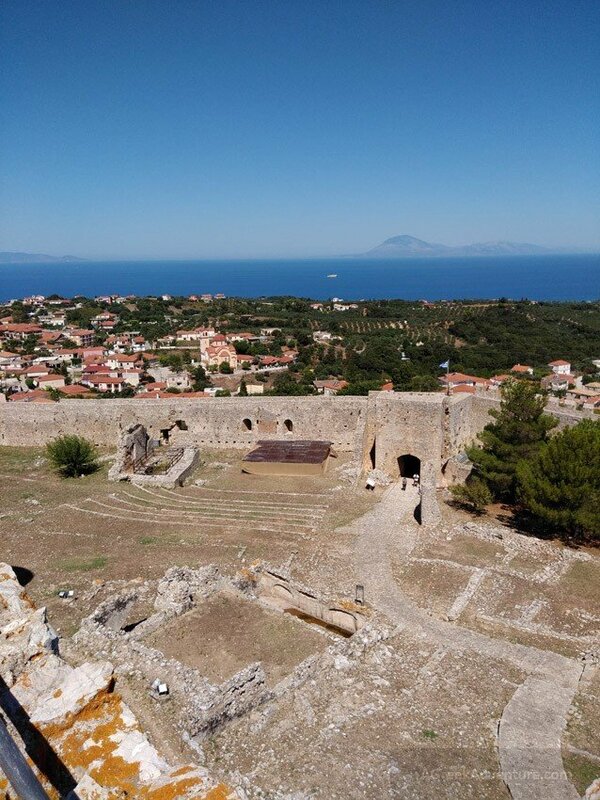 Assos is a very beautiful village/attraction and many visit it to take photos. The beach of Assos is next to the village. 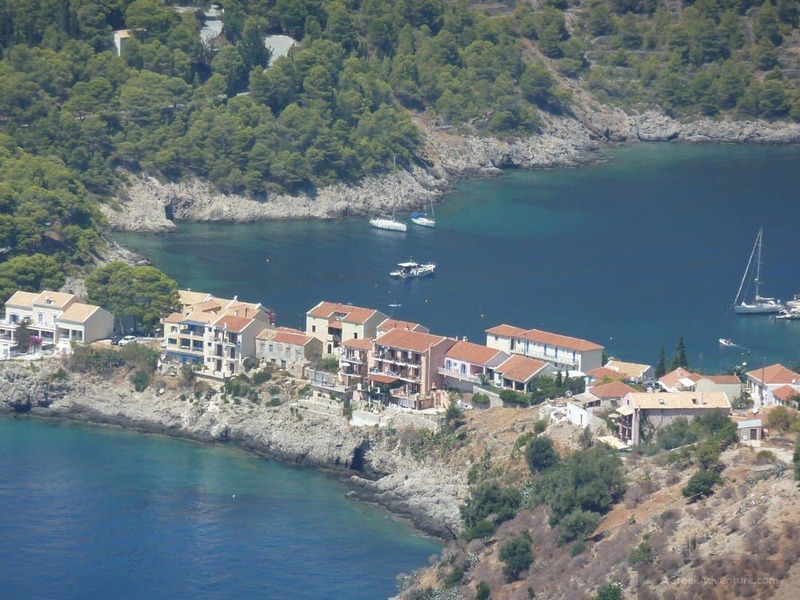 Assos is located 36 km north of Argostoli. This one is relatively unknown. The key points of this beach is that it is sandy and very shallow, which makes it ideal for young children. A big restaurant/tavern is right there over the beach offering a great range of dishes. We ate there after our beach time and food was really good. Spartia Beach is not big but this is good. It is a bit of a trip to go there and a bit confusing as you pass through many villages with narrow streets and all, without signs. Do ask for instructions though. It is a very good area to spend an entire afternoon and more. It is located 12 km southeast of Argostoli, the capital of Kefalonia island. 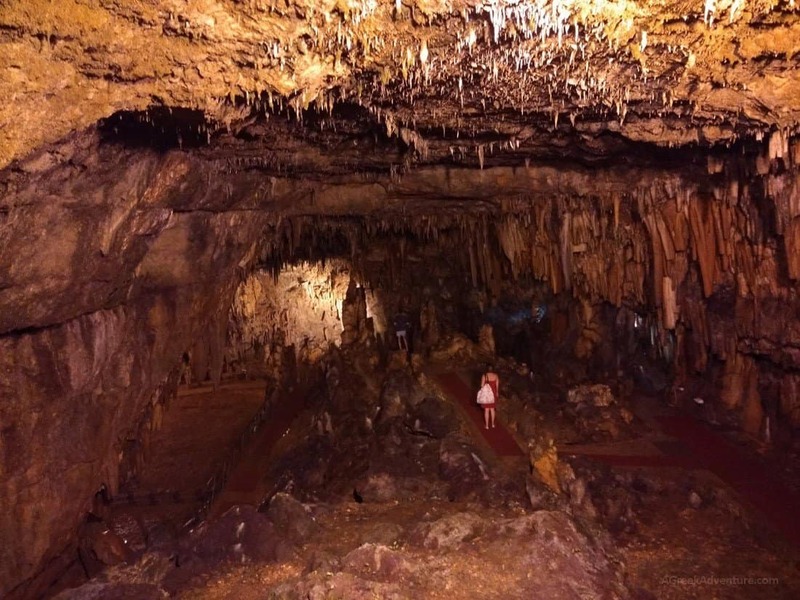 There are 2 famous caves in Kefalonia. 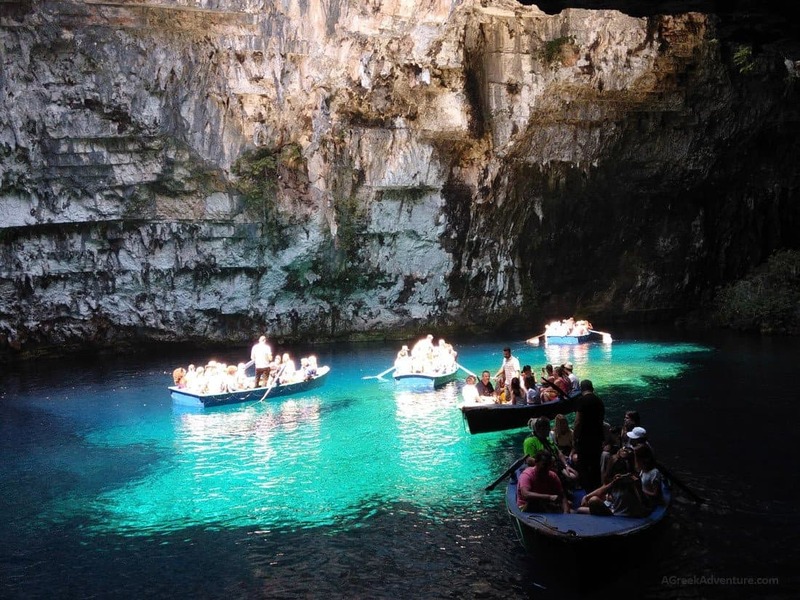 The one of Melissani and of Drogarati. Both are really close together. Better to visit them both at the same day if you stay far. You may have seen this one in numerous photos and postcards around the web. It is an out-worldly site. Best time to visit this one is at 12:00 am, to 13:00 pm. 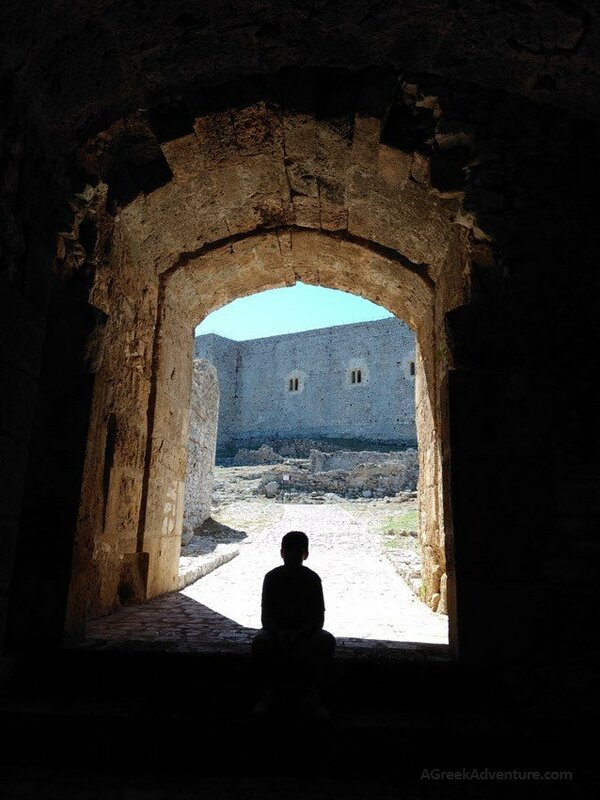 The sun is vertical to the cave at that time of the day and the light creates all kinds of combinations & colors. It is like a cave were fairies and heavenly beings would reside. The lake is experienced with small boats. The ride takes around 12 minutes to complete but you will think it takes longer, while being absorbed by the beauty. This one does not include a lake but it is actually an underground cavern. 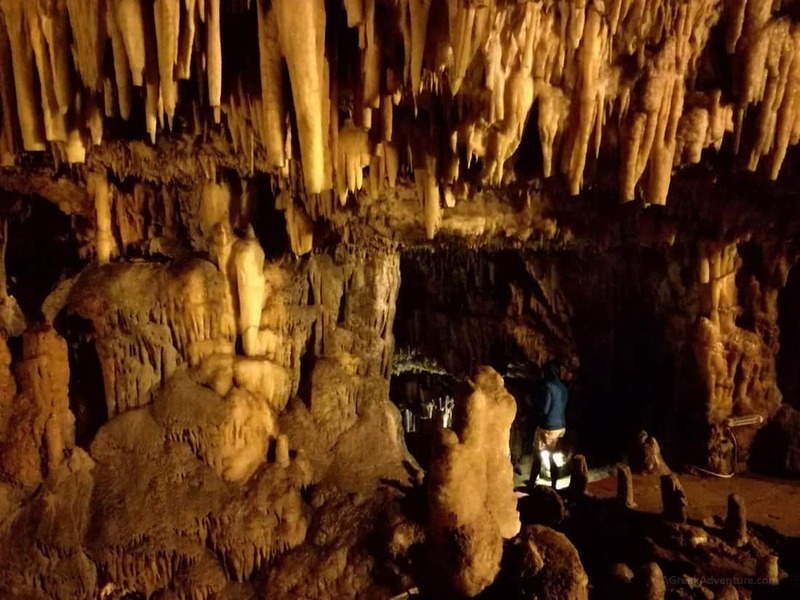 It is also beautiful, full with patterns of stalagmites & stalactites. The cave was discovered 300 years ago after an earthquake, when a part collapsed and thus revealed the entrance. 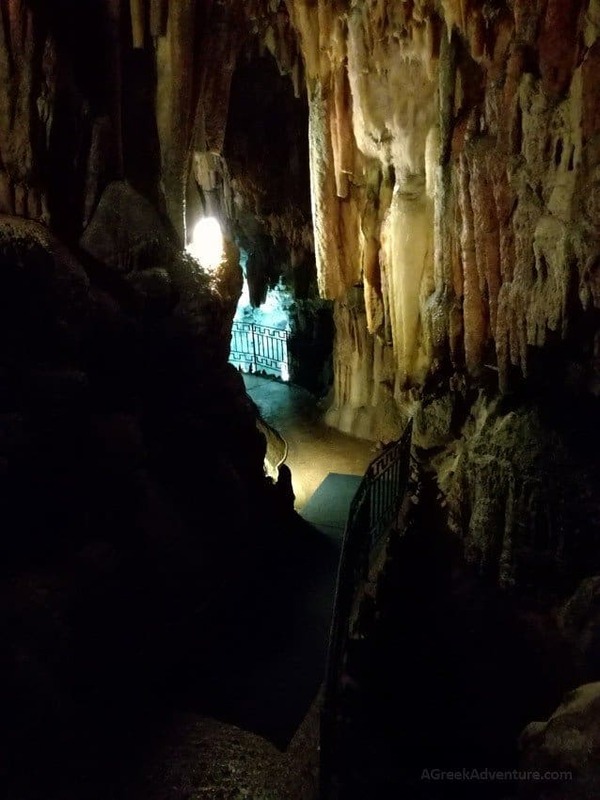 It has excellent acoustics and it is still alive as it’s stalagmites are constantly dripping. We arrived early at the port of Kyllini, where we would take the ferry to Kefalonia. 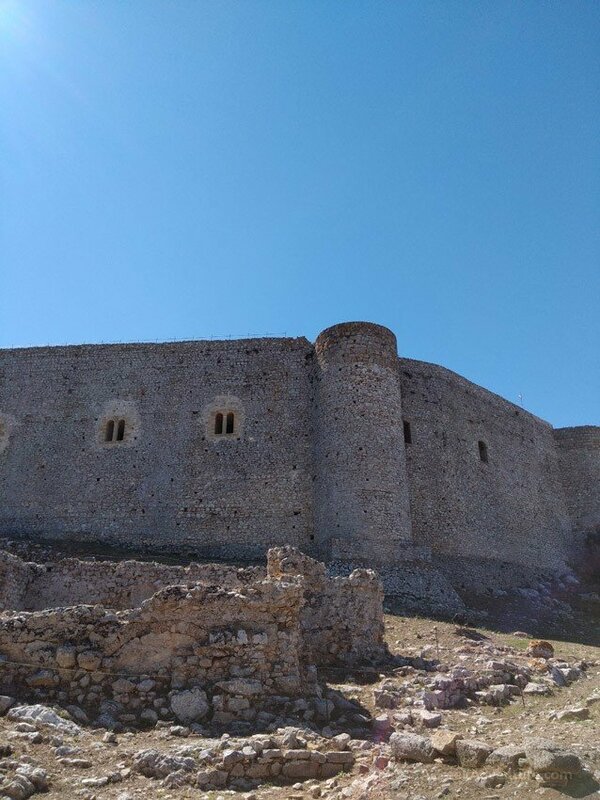 Since we had a couple of hours to spare we decided to visit the Castle of Chlemoutsi, outside the village (and port) of Kyllini. 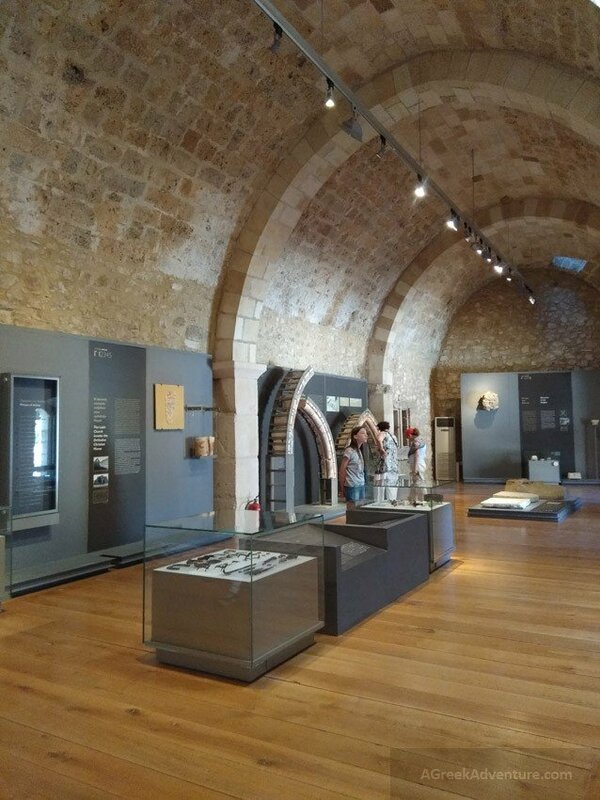 The castle consists of a few rooms with exhibits, plus the main museum area (also with a small number of artifacts to see). 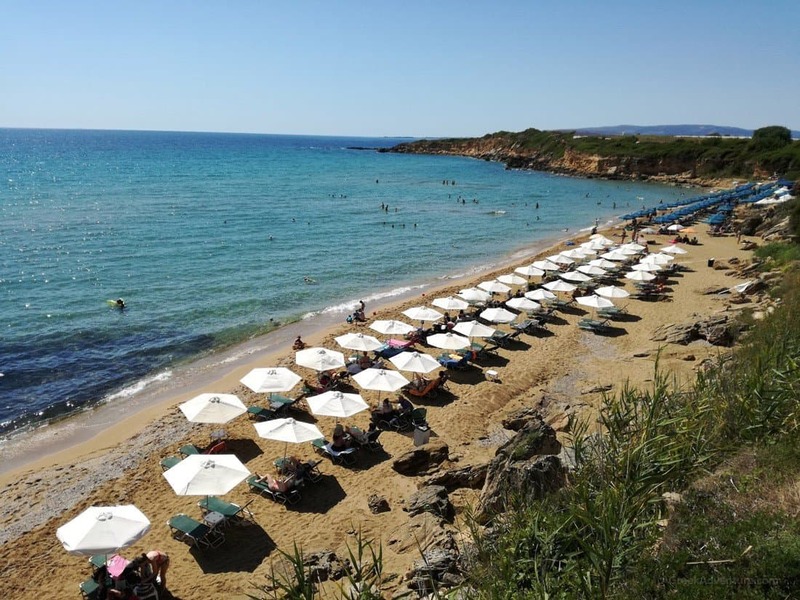 It is located at 6 km south of Kyllini. 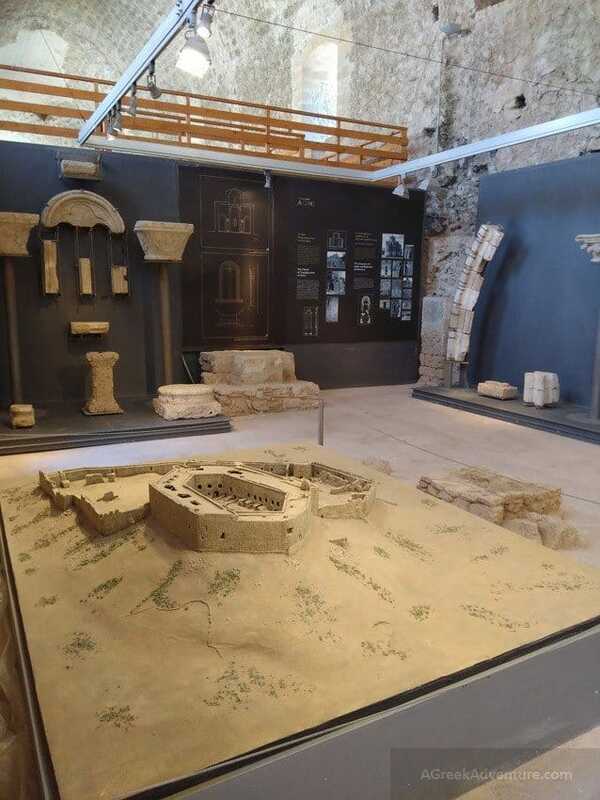 It is perhaps the finest fortification sample of the early Frangokratia era period in Greece. 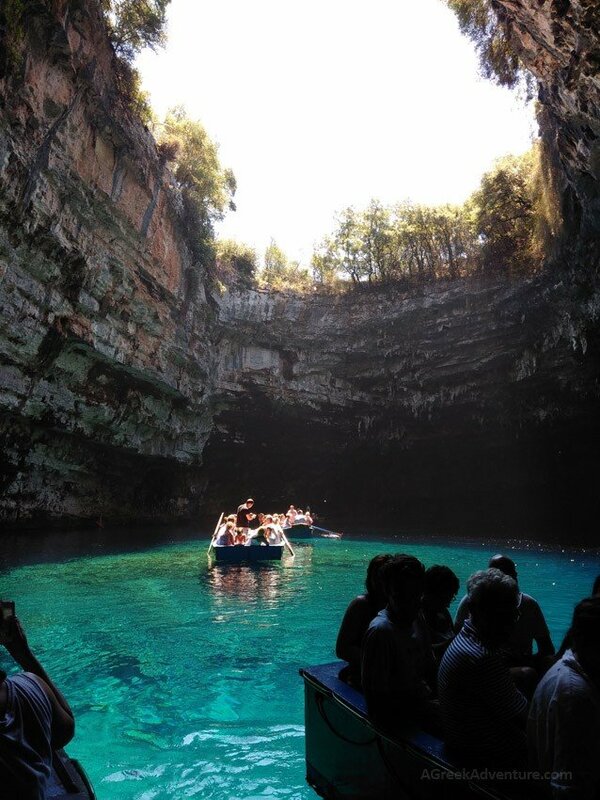 The island of Kefalonia is so beautiful. 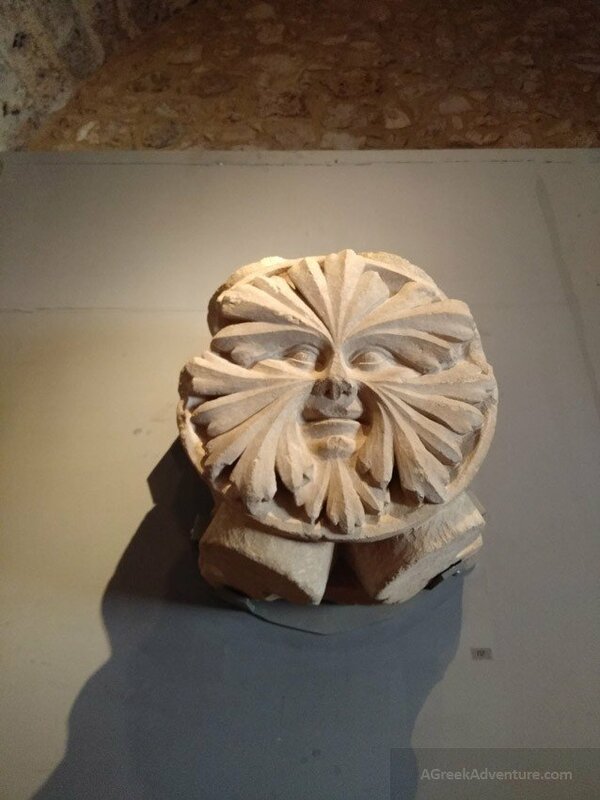 There is a reason many visit and visit again, every year. Do try it once. 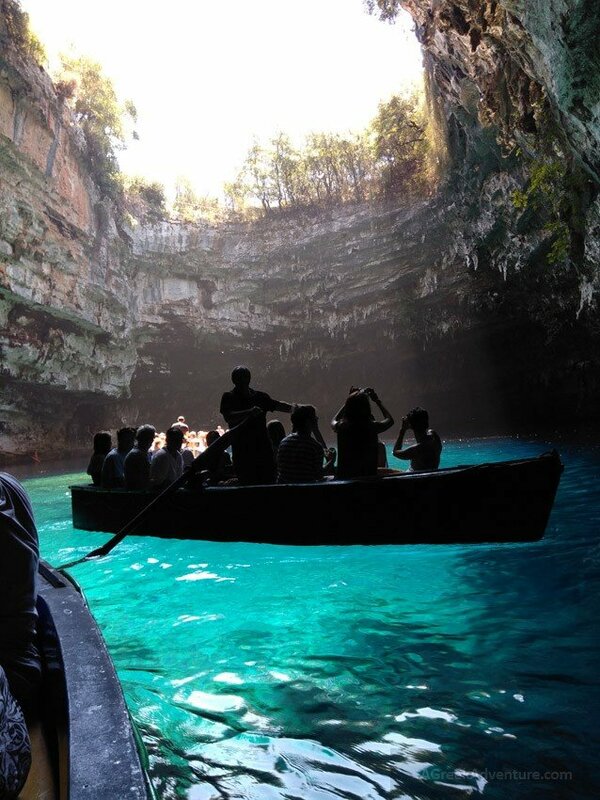 Enjoy and see more about Kefalonia from here.